Whether you are contemplating making a complete kitchen remodel or you’re simply hoping to upgrade the look of your kitchen, every penny counts especially when you are on a tight budget. The key is to make a few changes that will bring the biggest impact at the lowest price point possible. 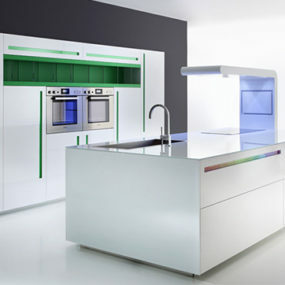 One way to do just that is to try your best to remain focused on what you wish to accomplish with your kitchen remodel. Do you want to create a kitchen that is more comfortable for you? 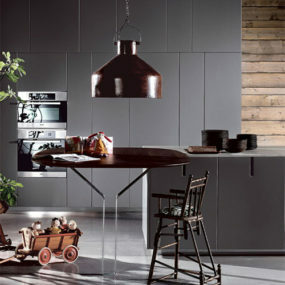 Or do you want to create the kitchen of your dreams? Whichever the case, maybe these tips will help you create your kitchen dreams on your current budget. Having a plan A and even a Plan B can help remodeling your kitchen a breeze. 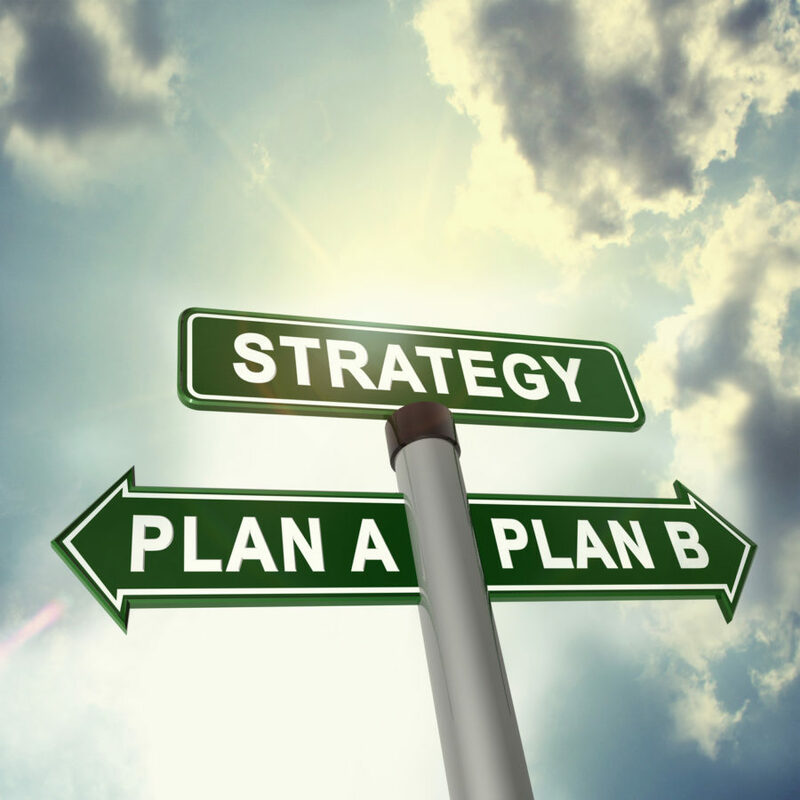 One of the best things you can do in order to stay on a budget is to have a plan. You need to know what you want to achieve with your kitchen update and how much is your budget. 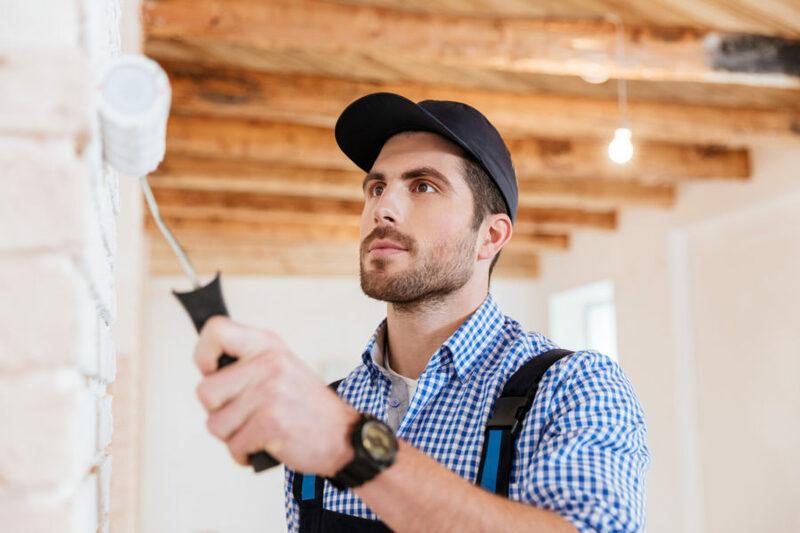 Knowing exactly how much you are willing to spend on renovations will make purchasing the items you are interested in having a breeze. 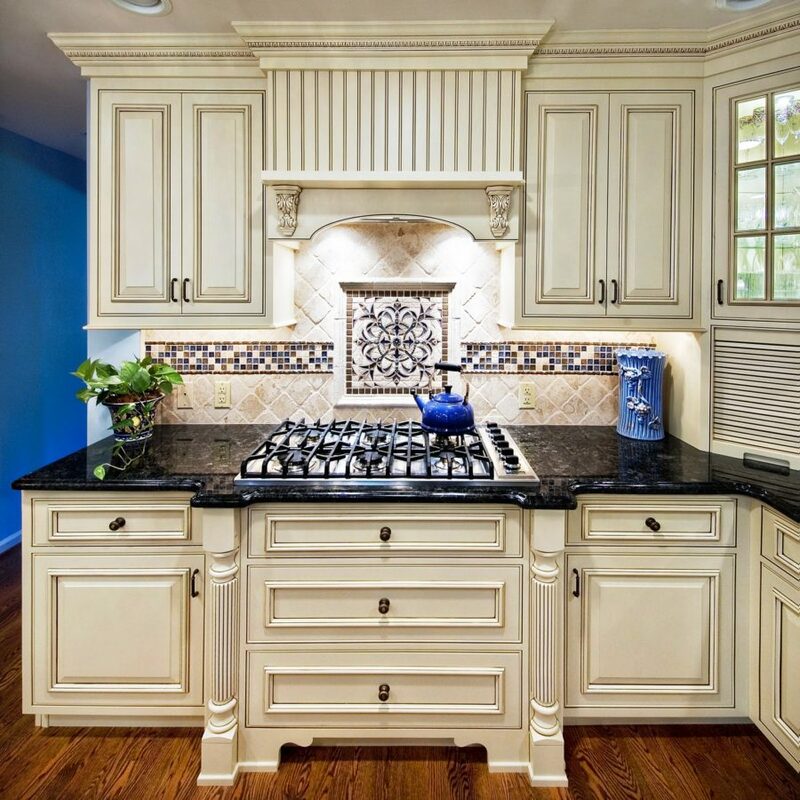 A professional contractor can guide you in the right direction on how your kitchen remodel should be done. Speaking to a professional when you are on a tight budget may not seem like a good idea. In fact, it may seem like the last thing you want to do. However, speaking to a professional before you begin to make changes will ensure you know to make these changes the proper way. Keep in mind if you are in doubt about making a change in your kitchen, consider hiring a professional instead of making it a DIY project. 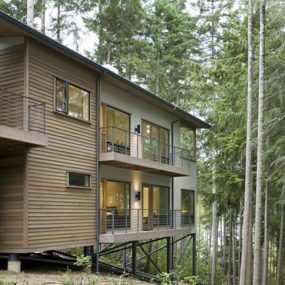 The reason being it can end up costing you twice the amount of money you would normally spend in the long run. Rustic farmhouse accents instantly enrich a bland kitchen without having the need to invest in multiple different items. Consider replacing the kitchen or pantry door with a wooden door or even change the handle on your kitchen door for a wooden one. Another way to do this is by copper pots from ceiling racks. 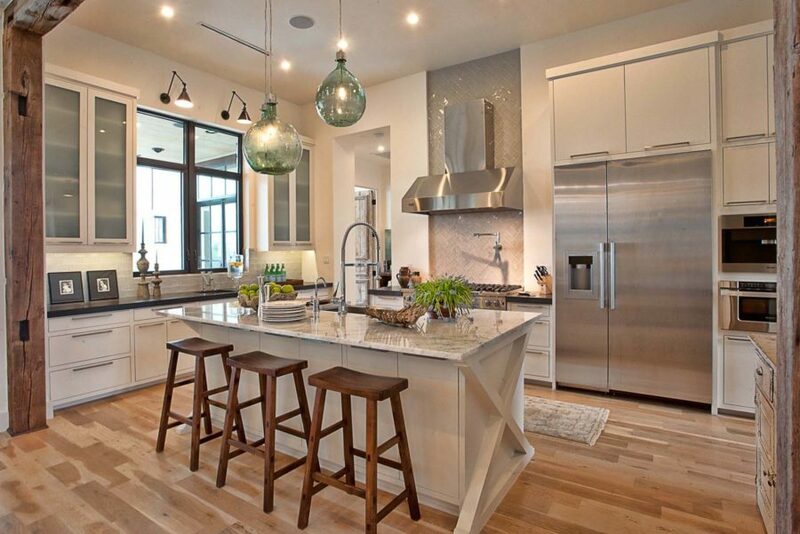 Bar stools are another excellent way to add rustic elements to your kitchen without spending much. 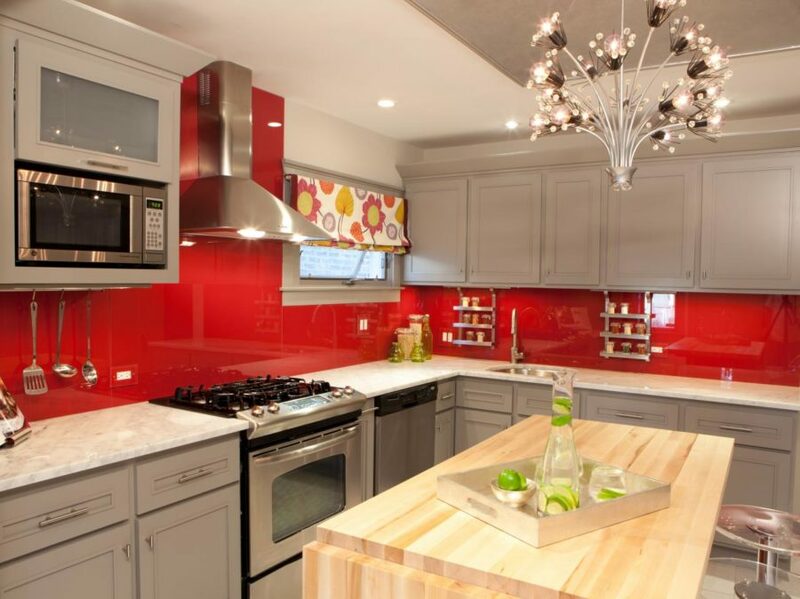 Bold colors in your kitchen are a great contrast to any neutral colors you may have. If ever in doubt paint is the answer. Changing the color of your walls can give your kitchen an instant facelift. If you want to go a step further, consider painting your wooden floors. This is an easy way to revive your flooring without having to get a professional to refinish them. 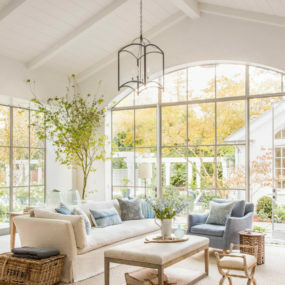 The color white is always a classic color, but you will be able to see every speck on the floor consider colors like pastel blue or gray instead. They add vibrancy to your kitchen. 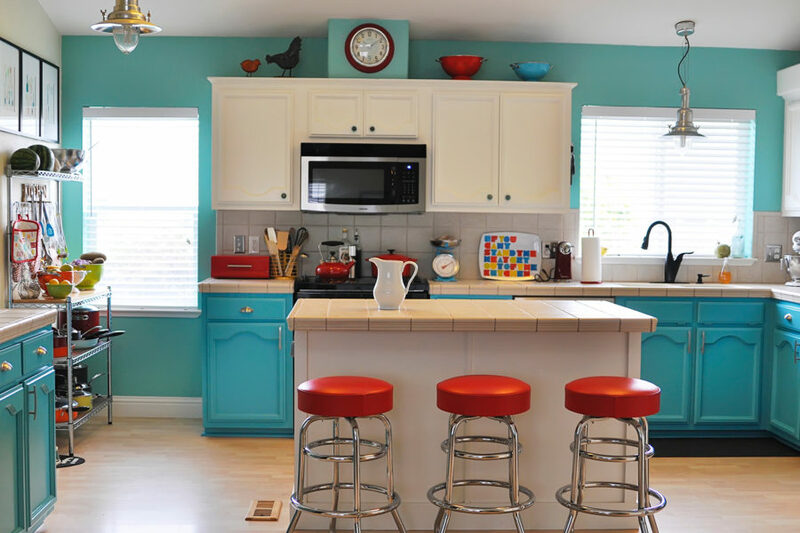 Modernize and update the appearance of your kitchen by using multiple different bold colors. Many of us love the idea of an all-white kitchen. 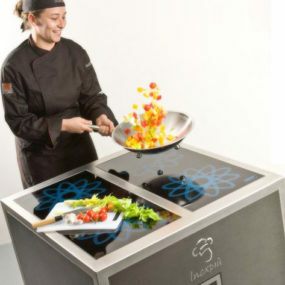 However, this can actually cause the kitchen to appear dull and even boring at times. Give your kitchen the ultimate easy makeover by adding color. Adding color is an excellent way to brighten up an ordinary kitchen and make it extraordinary, almost instantly. 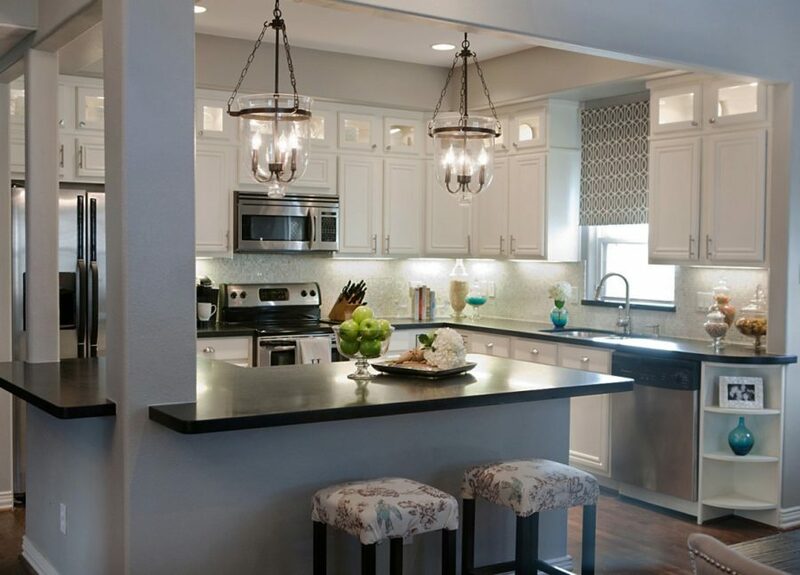 Large light fixtures can help you showcase a dark area in your kitchen. Kitchen lighting is not always the best which can cause the area to appear dark. In order to change that you want to insert light fixtures that will brighten up the room. This will instantly give the kitchen a larger and more welcoming appearance. 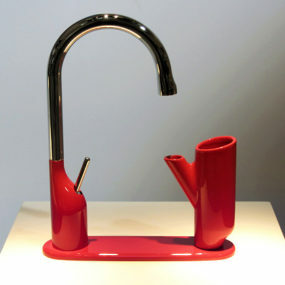 Upgrading your sink and faucet can give your kitchen the much needed facelift it needs. Most sinks and faucets are at least 10 years old which can cause them to not only show their wear and tear, but they also do not have the latest technology which can make being in the kitchen a lot easier. If you decide to make smaller changes first before upgrading the entire look of your kitchen, changing the cabinet knobs is a great start. Changing the knobs can be just what your kitchen needs for a quick pick me up. 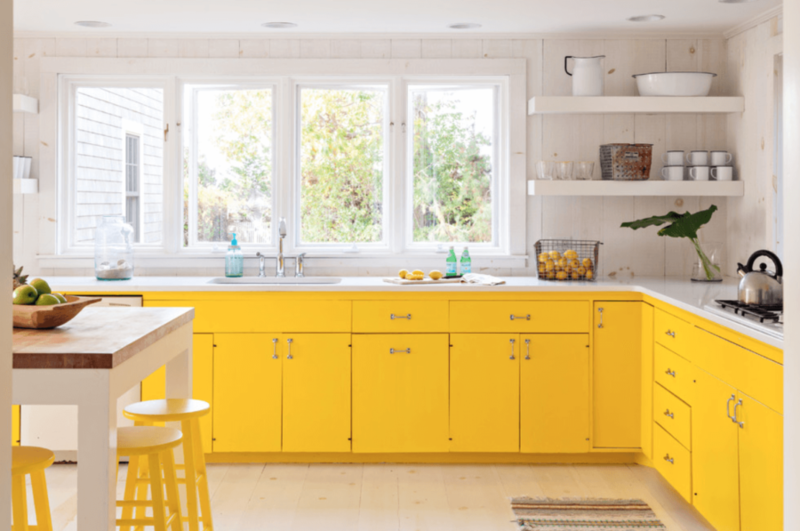 Bright cabinets are a great contrast to all the neutral tones that exist in the kitchen. A fresh coat of paint on worn out cabinets will save you the need of having to replace your entire cabinetry. 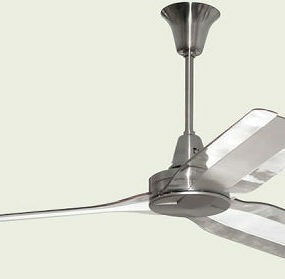 Doing so will change the entire look and feel of a room almost instantly. Choose a paint that features a built-in primer, this will reduce the number of coats that you will need in order to cover the entire cabinet area. 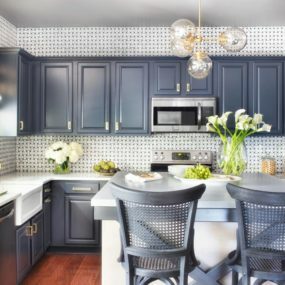 Get creative with your backsplash with color and design in order to bring your kitchen décor all together with your backsplash. 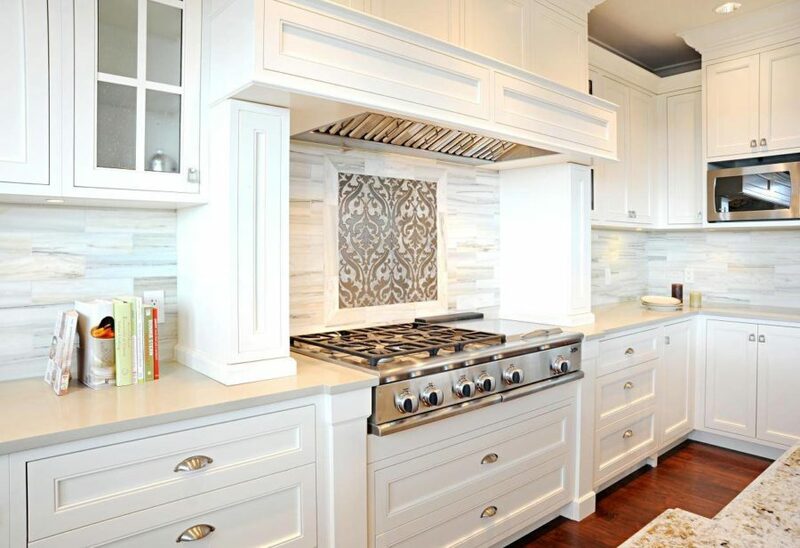 Adding a backsplash to your kitchen can give your kitchen a modern yet sleek look. With so many different options currently available you can choose from different colors, patterns, and styles that best suit you and your current décor. Upgrading the appearance of your kitchen décor need to be an expensive job. In fact, it can be done on a tight budget with some amazing results. Let us know below if you know anymore budgeting hacks that can help transform the appearance of your kitchen quickly and hassle free.